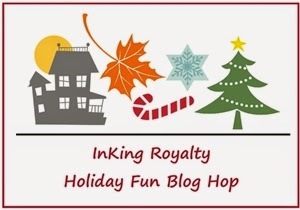 Welcome to the very first InKing Royalty Blog Hop. For our very first hop, we're excited to share projects that showcase the fun of the holidays - from Halloween through Christmas, this certainly is the season to be jolly! You may have started the Blog Hop here or may have hopped over from Lisa Pretto at DIY Royalty. After you read my post, I hope you'll hop over to the next. If you get off track at any point during the blog hop, there's a complete list of participants at the end of this post. When I first considered the fun of the holidays I thought that the Fall holiday that contained the most pure fun was Halloween and the new Holiday Catalog has lots of fun Halloween products. (Click on the Holiday Catalog image along the right hand side to see all the wonderful goodies! Lots of fun!!) I love the Fall Fest Photopolymer stamp set and the coordinating Fun Fall Framelits! A number of years ago Stampin' Up! had a stamp set with several shapes of pumpkins and separate stamps with Jack-o-lantern faces that could be applied to the pumpkins. Of course the set didn't have Framelits to match but it has been one of my all-time favorite Halloween sets. I felt it was a classic and was sad when it was retired. I was very excited to see the idea return in the Fall Fest set! There are so many fun ways to use it. Even though I was excited about the pumpkins and Jack-o-lantern faces I wanted to do something a little different for today's Hop so I decided to use the ghost. I then thought it would be even more fun to make him out of vellum. Here is my card. After the ghost Framelit was used to cut out the ghost shape from the Smoky Slate layer it was used to cut it out a shape in the same place on the DSP layer and the Tangerine Tango cardbase layer. 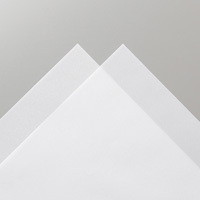 The Framelits are not designed to cut through more than one layer of cardstock although some people report using them to cut through two layers of cardstock. In this case we have two layers of cardstock plus a DSP layer so I did it in two steps cutting the DSP layer and the Tangerine layer together. All three layers were placed in position and then a vellum ghost that I had previously cut out was placed in the correct position on the Slate layer. While holding him in place I removed the Smoky Slate layer. That left me with the vellum cutout in the correct position on the DSP layer. He was adhered to the DSP layer with repositionable tape (waaaay better than Post-it Notes!) and used to align the Framelit. As the Framelit was placed in position I could "feel" the cutting edge of the Framelit bump against the ghost. This allowed me to know exactly where to place the Framelit. Once in place I taped the Framelit down. With the precision needed for this I decided to skip the Magnetic base and use repositionable tape. I then added a pumpkin stamped with Versamark on Cajun Craze cardstock and cut out with the coordinating Framelit. A Crumb Cake maker was used to darken the stem and Dimensionals gave it some dimension. Not having a greeting I felt was appropriate I printed one in MDS and attached it to a DSP layer. I then attached a rectangle of vellum between the Smoky Slate and DSP layers and adhered all this to the Tangerine layer. Eyes were added using my Simply Scored Stylus and the Stampin' Pierce Mat. A 3/4" circle was cut from Whisper White cardstock and sponged with So Saffron to create the moon. Many times I attach a Whisper White or Very Vanilla layer inside my cards that is useful for writing my message but with a vellum ghost where one can see all the way through the card it is very important that such a piece is used. I frequently add something to this inner layer and here I used gray striped washi tape. 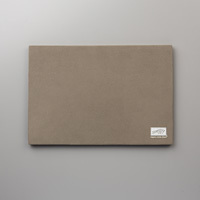 Another piece of the gray washi tape will also be used to seal the envelope. In this way it will be easy to open while remaining intact. I ♥ comments and would love to hear what you think!! Leave your thoughts below! Thank you for stopping by today. 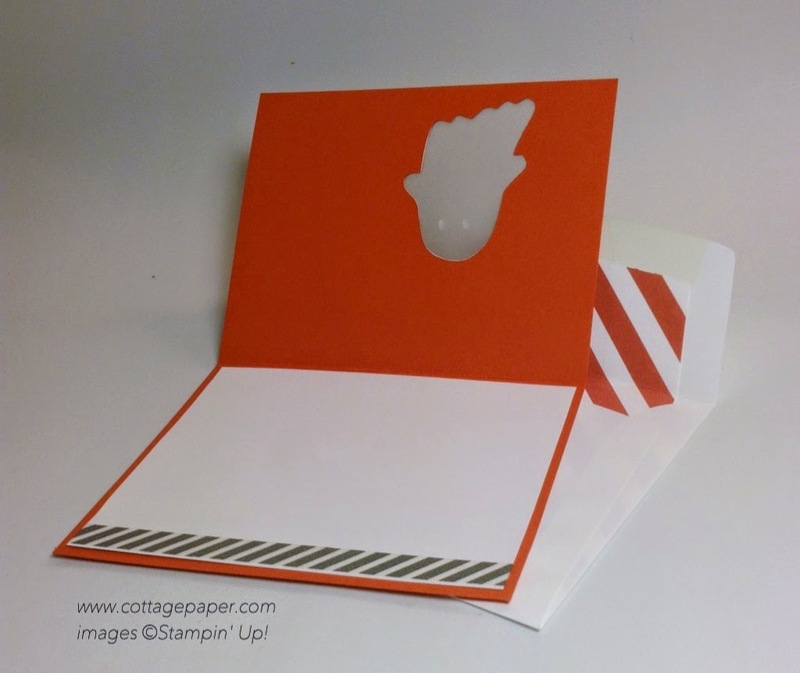 I hope you'll hop along to the next stop on the blog hop, Brian King at Stamp with Brian. You certainly won't want to miss any of these projects. Great card Katie! Now I have to add that set and framelits to my next order! Thanks for participating in Brian's first hop! The evening scene is so perfect! Love the velum ghost. Wow Katie! This card is amazing! I just love MDS too and how it can come to the rescue when needed. Hauntingly adorable, Katie! 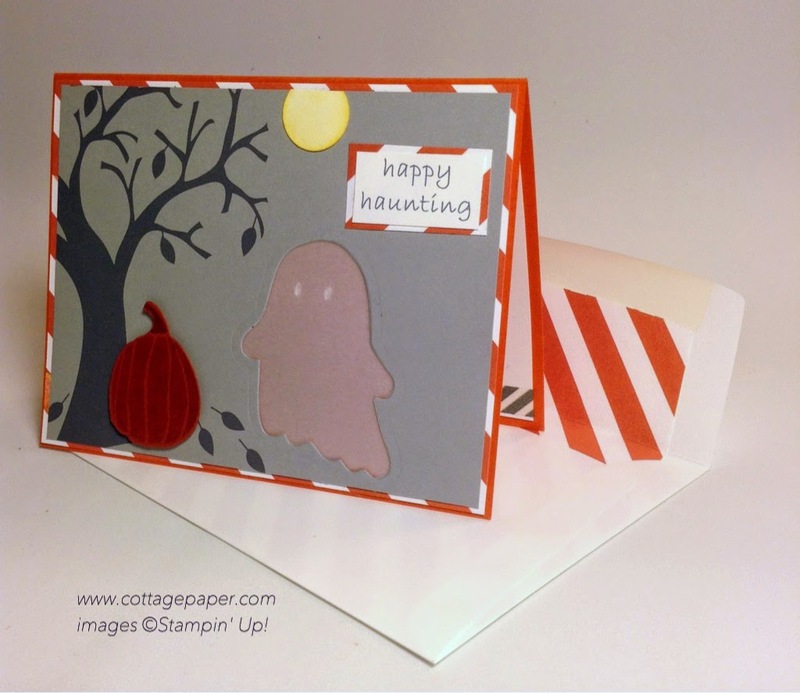 What a super-fun project - the vellum ghost is adorable! So glad you were a part of our first blog hop. This is so cute ! I love love your ghost ! And fantastic directions ! Loving all the great ideas on this Hop ! wonderful incorporation of the vellum to your spooky and creative scene! Such a clever use of dies and paper. I just love Halloween. Katie, the ghost in vellum and see through to the inside is absolutely adorable. What a great idea. Love it.